When you purchase a product through Anchor Systems there’s no need for you to shop around trying to find installation equipment or specialist installers. We can supply you with all the tools and plant necessary as well as any training you may need. 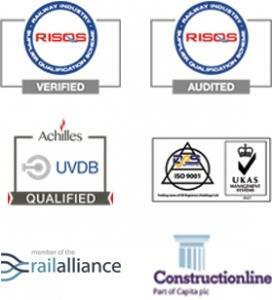 If you require a complete supply and installation service, we have our very own list of approved contactors who have undertaken specialist training to install Vulcan Anchors in all applications and industry sectors. We can also supply you with any installation methodology that you may require. These are system and application specific. A site test includes the onsite installation of a mechanical anchor to a determined depth. The installation is normally conducted by the main contractors staff and supervised by an Anchor Systems operative. Once the system is installed the anchor is then tested in line with our report process to identify the ultimate holding capacity of ground (soil mechanics failure). The test is also conducted to ensure the anchors can be installed either by hand or by machine and to prove the loading requirements that are achievable including any Factor of Safety that has been specified. Below is a basic guide of how to install the Vulcan Earth Anchors using either the handheld or machine mounted method. If you would like more in depth instructions for a specific anchor or installation please get in touch and we can supply these for you. 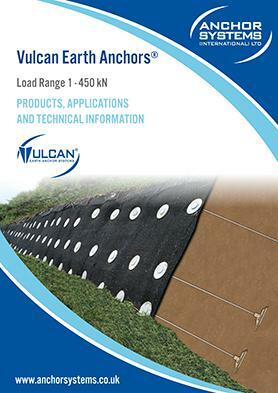 How to install a Vulcan Mechanical Earth Ground Anchor.